Luigi Semplicino born in Monza on September 21, 1979, to a musical family. He gets into the world of the seven notes by using his father's keybs. In the second half of 90's he knows dance music, above all by Discoradio which played it non stop 24/7. With the advent of Mediterranean Progressive he discovers the love for Trance music: it's the beginning of producer life of Shamano. Gigi D'Agostino, Picotto, Robert Miles, Datura and many others become a point of reference for his artistic growing. After contamination with Northern Europe sounds, Shamano starts writing songs inspired by musicians as Tiësto, Ferry Corsten and Paul Oakenfold, ATB and later also by modern Trance interpreters, such as Manuel Le Saux, Sean Tyas, Above & Beyond. 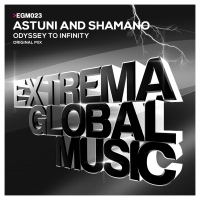 In 2010 his remix of "Easton - Time Lapse" has been signed on top Trance label Shah Music. In 2011 his single "Father to son" has been released on Shah Music, which comes along with Manuel Le Saux remix. Again in 2011, his collaboration with Astuni brings to light "The Brotherhood", and in 2013 "Where We Belong".